Every day, print and online trade magazines and news sources tout developments in online advertising, branding, and marketing. Seismic shifts in the industry--like major advertisers setting up shop in Second Life and other alternate realities--have forced marketers and advertisers, ready or not, to employ new advertising models. But the potholes for advertisers using Web 2.0 are many, and missteps by companies that don't understand the new rules of the game guarantee lost time and money ill spent. Advertising 2.0 ensures that readers understand the advertising options possible in the Web 2.0 environment, provides examples of companies using these options, and offers guidelines for their application. 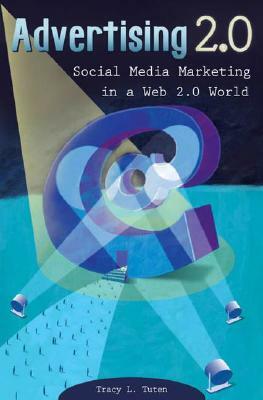 Advertising 2.0 goes way beyond running banner ads on Web sites and explores the rapidly burgeoning world of social media marketing. Among other things, expert Tracy L. Tuten covers viral marketing, doing online research, advertising within online games, and leveraging online opinions to increase sales or grow a brand. She also describes--way out on the leading edge and sure to turn conventional advertising on its head--how smart marketers let consumers generate ad content for products and brands. While the trade press frequently publishes news of companies using innovative communications techniques, there are hardly any books telling people how to take the plunge into the newest forms of advertising. Advertising 2.0 presents the current state of online advertising, and best practices for using techniques like consumer-generated advertising, social networking, online product reviews, viral video, Second Life, alternate reality games, and more. It also includes case studies and examples of successes and mistakes. Companies and brands featured include Nine Inch Nails, Audi, 42 Entertainment, MySpace, YouTube, Dogster, Vodaphone, Leo Burnett, and others. Best, each method described includes guidelines for getting the most out of the technique, thereby letting advertisers cut through the clutter to touch the hearts of customers worldwide.